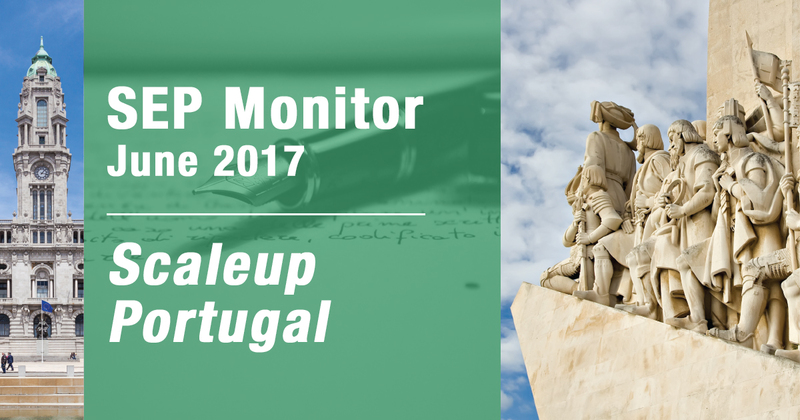 Mind the Bridge and Beta-I, under Startup Europe Partnership (SEP) initiative, are today presenting the first conclusions of the “SEP Monitor Report”, a report that looks at the Portuguese startup ecosystem in depth. “Portugal Rising” was the title of the last SEP Monitor, presented at the end of 2015, and a year and half later we can now say it was right, since Portugal is growing twice as fast as the European average. The scaleup ecosystem in Portugal is growing and it’s growing fast. In the last year over $130 million dollars of new funding was secured (40% of the total financing raised in the 2010-2016 timeframe), this means Portugal is growing 2 times faster compared to the European average. Portugal registered 67 scaleups, with $350 million dollars capital raised. If we look a little closer, we can find that Lisbon is the ‘Portuguese Scaleup Hotspot’ responsible for $221 millions of the capital raised, having seen 27 scaleups, 17 exits since 2010 and 38% of new capital raised. “Of the 17 Portuguese ICT startups that have exited since 2010, 65% have been in the last two years. In absolute terms, Portugal holds 15th place in the ranking of European scaleup ecosystems. While looking at Portuguese figures we need to consider that beyond the relative smaller size of the Portuguese economy, the ecosystem is quite young. 76% of all scaleups tracked were established after 2010 – the European average is 67% – and almost half of them have been founded after 2013. The majority (88% of total) are small scaleups”, notes Alberto Onetti, Chairman of Mind the Bridge and Coordinator of Startup Europe Partnership. Ricardo Marvão, Co-founder & Head of Global Projects at Beta-i, adds “It’s interesting to note international investors are playing a central role in the scale-up of the Portuguese ecosystem. 62% of capital made available to scaleups – 86% of later stage rounds – comes from abroad. International events such as the Web Summit, the Lisbon Investment Summit and Scaleup Porto have been incredibly important in advancing the Portuguese scaleup landscape”. Four out of five of the most funded companies in Portugal are “dual companies”, scaleups founded in Portugal that partially relocated their headquarters abroad, while keeping relevant operations in their home country. Another aspect is that mortality is quite low among Portuguese scaleups. Only 1 scaleup previously tracked has run out of business. The ratio (1.9%) is among the lowest we recorded in Europe. No cases of “early mortality” have been recorded in Portugal (no scaleups founded after 2013 have closed business).